Traveling clears your head, educates and allows you to enjoy life. There are so many different types of trips you can make from gambling trips to beach getaways to adrenaline packed adventure outings. For me I don't bother with a gambling trip as you can get the same from thrill at top online casinos. Beaches I add in to any vacation I can, I mean who doesn't love a beach trip right?! But for me the real fun is in adventure travel. It throws you out of your comfort zone and excites from start to finish. Skydiving has been around for ages and more people are now embracing it and getting over their fears. The fear of falling that pumps adrenaline into your blood makes the activity so exciting and enjoyable. If you love high risk things then definitely this is your kind of adventure. You get to experience the aerial view of the place you doing skydiving. It would be magical if you can record yourself falling from the sky, capturing your memories. Cliff jump is one the best adventure especially when you are jumping from the highest point. If you’re planning to do a cliff jump, I advise you to do it in Queenstown, Australia. It is the world’s highest cliff jump and you will enjoy every moment of it. You enjoy greatest views and feel the fresh air of the Queenstown gorge or canyon. This is one of the most visited cliff jump resorts in the world. underwater world. If you want to have a good time, there are great water adventures in different places around the world. For instance, sea kayaking in Santorini, surfing in Maui, and snorkeling or scuba diving between North American and Eurasian continents in Silfra, Iceland. 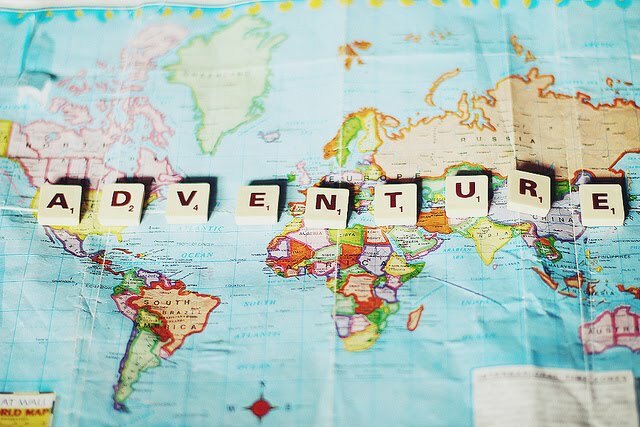 What adventure trips have you taken? Tell us about them in the comments below! Loving this list of places to see in Argentina. Brilliant stuff. Because the county has so much to offer, as far as geography, climate and culture. Patagonia is a dream trip of mine. It feels like one of the last genuine pristine places on earth. The spot has such a different feel than anywhere in the world too, with being so close to Antarctica, with its inhospitable climate, which to me, would be so neat to experience. Meteorologist by schooling here. I love windy places, temperature extremes, all that good stuff. Storms, gales, all right in my wheel house so Patagonia feels like a match there. Toss in that glorious wildlife and I am beyond sold. Staying in London is really a challenge for who financially poor. for those people brithomes offering cheap short lets in London. i really love beach trip and real fun is in adventure travel with my friends,thanks for the post.